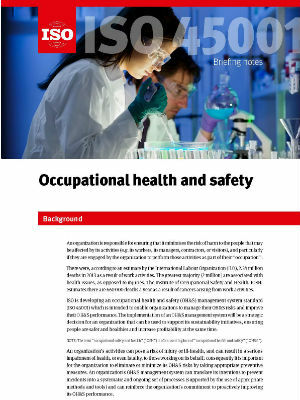 The ISO 45001 Occupational Health and Safety Standard is now entering the enquiry stage. According to the International Organization for Standardization’s website, the standard has been registered as a Draft International Standard and will be available soon. The technical committee has confirmed that the final version should be published in October 2016.